Financial companies exerted a profound impact on the land, transforming the land itself, creating built landmarks like wool stores, and changing ownership, boundaries and the development of the landscape. 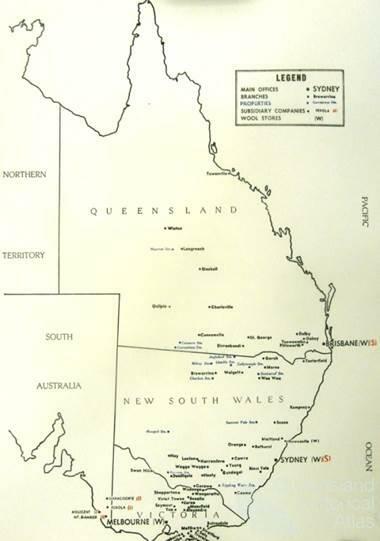 Few companies in the history of Queensland have had such a direct impact on both rural and urban landscapes as the Australian Mercantile Land and Finance Company (AML&F). Like the banks, this company lent money, but it also bought and sold Queensland’s wool as well as owning vast pastoral properties including Retro, Maneroo, Tinnenburra, Caiwarra and Currawinya. AML&F, like other major pastoral companies in each of Australia's port cities, had grand city premises, one for the financial side of its business, and the other catering to exports in the form of a giant wool store. 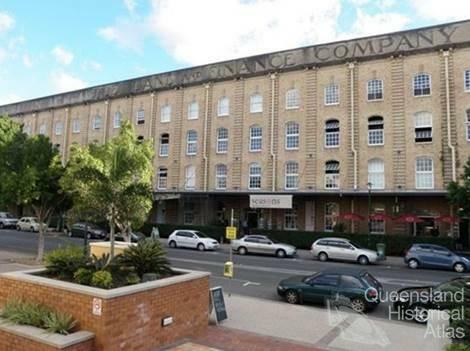 The wool store at Teneriffe in Brisbane, now transformed into upper middle class apartments, is one of the few reminders of this once mighty company. Active in eastern Australian for over 100 years, AML&F emerged in response to lucrative business opportunities created by the British imperial system in the nineteenth century. Land, originally acquired through dispossession, could be purchased cheaply and offered favourable returns on investment. The need for new infrastructure meant there was a high demand for loans while the export of raw commodities to British markets and manufactures necessitated extensive commercial and logistical networks. By providing financial and export services, companies like AML&F transformed colonial economies and landscapes, but their business models also needed to adapt and respond to local environments and changing markets. 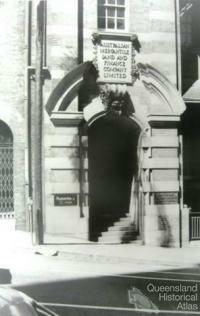 Originally called the Australian Mortgage Land and Finance Company, AML&F was incorporated in London 1863. According to the company prospectus, the AML&F’s purpose would be to afford ‘a safe medium for the investment of capital in the Australian colonies including New Zealand’ in which a proportion would be ‘invested in the acquisition of land at well-selected sites where large profit on the re-sale may be realised within a few years.’ AML&F launched its operations in the newly separated colony of Queensland where the rising population and growing economy seemed to offer a secure business environment. 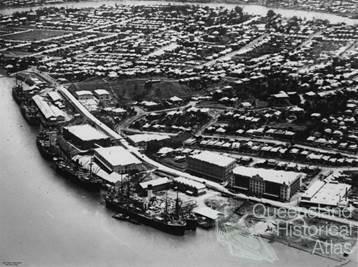 AML&F negotiated loans and purchased land around the growing settlements of Brisbane and Rockhampton while in order to acquire more assets in the north, a separate company was floated in 1864, the Central Northern Queensland Land Company. AML&F’s entry into the Queensland property and financial sector unfortunately came at the start of a recession and the company’s north Queensland offshoot was liquidated after transferring attention to pastoral finance in south eastern Australia. In 1865, AML&F absorbed the Gibbs Ronald & Company, a modest finance and wool consignment firm, which had been active in north-western Victoria. AML&F’s head office was transferred to Melbourne and using its access to British capital, the company expanded into north-western New South Wales. Operations temporarily ceased in Queensland and an office branch was opened in Sydney 1876 which later became the main office after federation. Station management entered AML&F’s evolving business model through the acquisition of foreclosed land in the 1890s. Failed mortgages, accentuated by drought, overstocking and land speculation, left the company with the burden of unprofitable assets. AML&F sought to sell these once conditions had improved, but later adopted a policy of disposing of unwanted properties while acquiring new ones to manage. By 1904, AML&F owned 35 stations throughout New South Wales, 24 located in the Western Division. 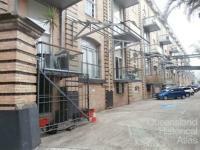 It held 80 stations as securities for loans, with just six of these in Queensland. After acquiring the Sydney and Melbourne business of the Australian Mortgage and Agency Company, AML&F became involved in wool exports. Reflecting this new function, the ‘Mortgage’ aspect of the company name was later substituted with ‘Mercantile’. 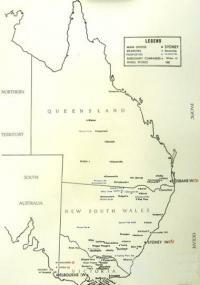 Queensland’s vast rural sector provided compelling incentives for the company to return to the State and expand. 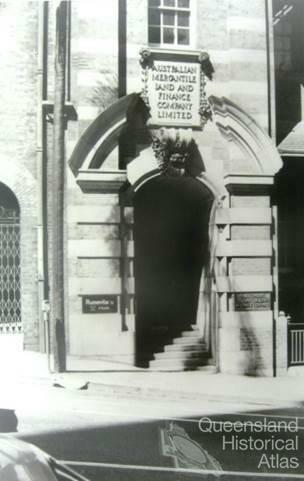 In 1906 AML&F purchased its first Queensland property, Retro (41,434 ha) near Capella, while in 1908, a Brisbane branch office was opened indicating AML&F’s intention to compete with the major pastoral firms active in the State. 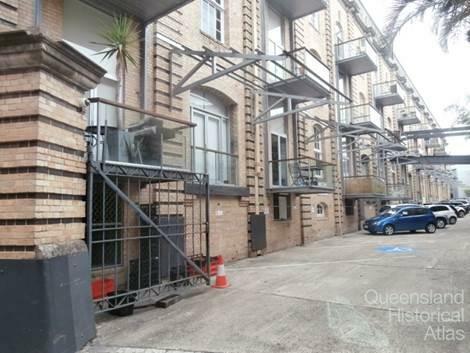 A site at Bulimba was purchased for a wool store and new office blocks were built on 129-137 Creek Street, central Brisbane. 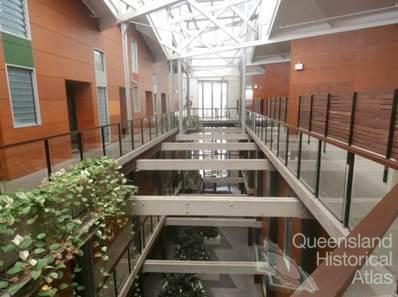 Designed by the renowned architect Robin Dods, the office consisted of three stories and a basement facing the main street. 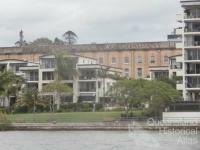 The interior was furnished with silky oak panels and marble tiles were in the vestibule and front office. 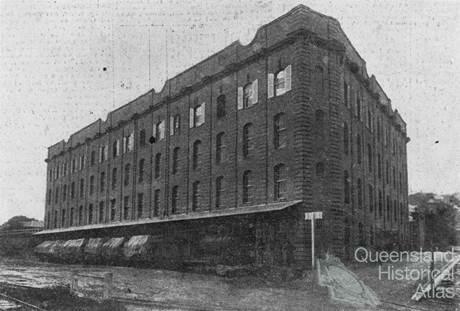 The Bulimba (now Teneriffe) wool store, also designed by Dods, opened in 1912 and was reportedly built from imported bricks used as ballast for wool ships. According to the Queenslander, the stores combined all the ‘modern schemes for economic receiving, handling and delivery’. Trucks loaded with wool came directly onto the railway siding which ran along the frontage of the building. After weighing, wool could be taken to any floor by electric conveyor while a passenger lift was available for buyers and inspectors. AML&F increased its market share in Queensland by buying more land and opening new branches. 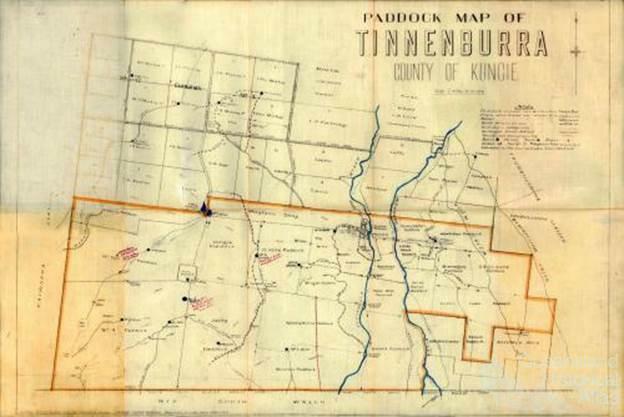 In 1913, AML&F purchased its second Queensland property, Maneroo (119,382 ha), near Longreach, followed by the iconic Tinnenburra (304,485 ha) station near Cunnamulla in 1922. Two years later, a second office branch was opened in Townsville. Depression, drought and falling wool prices slashed company profits in the 1930s, however, no Queensland properties were foreclosed. Following economic recovery, AML&F opened offices in Charleville, Cunnamulla, St George and Dirranbandi. In 1948, AML&F took over the stock and station businesses of Mcphie and Company, followed by Yeates Brothers and H.P. Veness and Company in 1949. This established a company presence in Toowoomba, Pittsworth, Dalby, Oakey, Bell and Winton. Retro was sold to the Queensland British Food Company in 1950 and closer settlement resulted in the loss of Tinnenburra. 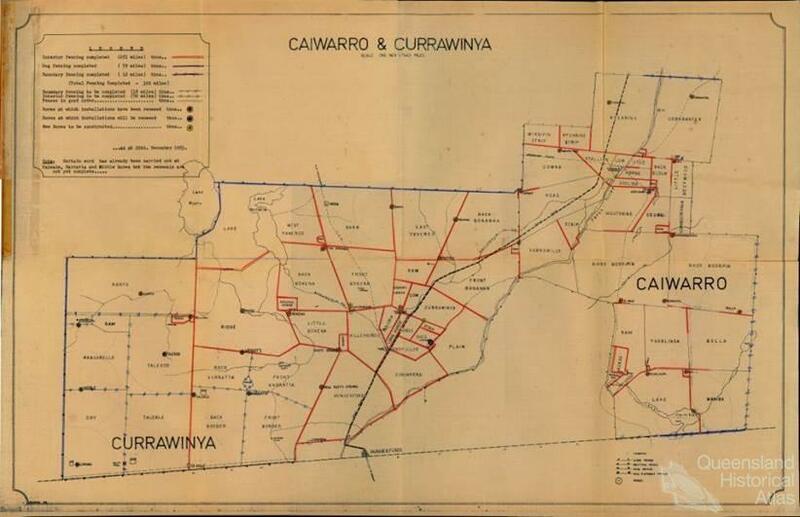 But these assets were replaced after purchasing the Paroo Pastoral Company and thereby acquiring the Caiwarro and Currawinya runs (243,150 ha) adjacent to Tinnenburra. AML&F achieved record profits in 1951 due to peak wool prices and the following year, two new branches were opened in Blackall and Longreach followed by Quilpie in 1954. During the height of its financial success in Queensland, AML&F’s rivals included several large British and Australian established firms: Australian Estates and Mortgage Company, Dalgety and Company, Fenwick and Company, Goldsbrough Mortgage and Company, Moreheads, New Zealand Loan and Mercantile Agency Company, Queensland Primary Producers Co-op Agency and Winchcombe Carson. These companies were a familiar feature of doing business on the land but their names, including AML&F, have been largely forgotten as new financial landscapes have been re-configured through take-overs and company amalgamations. In 1969, AML&F was taken over by London based Wood Hall Trust which took the decision to ‘Australianise’ AML&F in 1971 by transferring the company’s board to Australia. Following a merger with the subsidiary company Dennys Strachan Mercantile in 1979, the name was changed to AML&F Holdings. In 1981, AML&F Holdings purchased the Australian Estates Company, previously owned by CSR limited, and the number of branch offices in Queensland under the AML&F umbrella briefly rose to 49. In 1982, Wood Hall Trust was acquired by Elders IXL, formed through a previous merger between Elder Smith Goldsbrough Mort and Henry Jones IXL. The former interests of AML&F Holdings have since been subsumed within the Elders Pastoral Division. The redevelopment of urban spaces has also contributed to AML&F’s fading legacy. 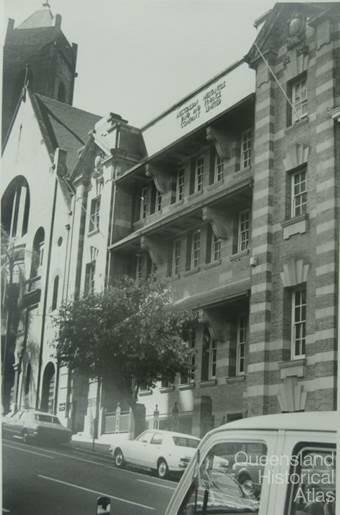 Shortly after the Wood Hall Trust takeover, the historic Creek Street offices were demolished to make way for property developers and the bland architecture of modern commerce. 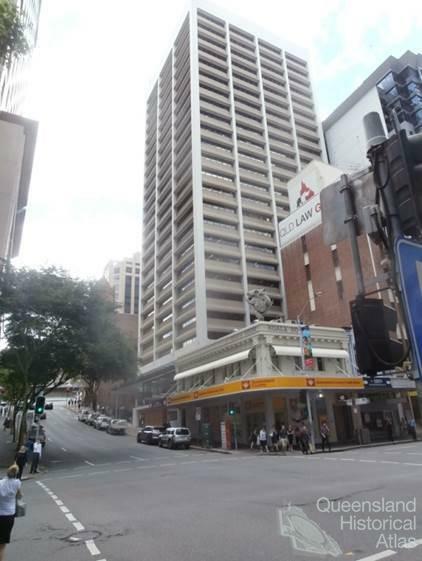 While a common feature of the Bjelke-Petersen era in Queensland, a similar fate befell the Sydney main office in 1962 and a conventional sky rise now occupies the place where the elegant Creek Street offices once stood. 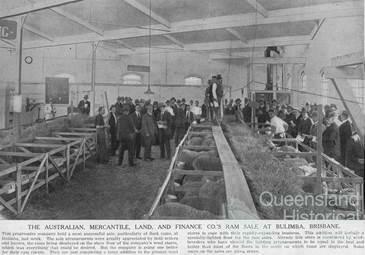 AML&F disposed of the wool store because improved methods in wool inspection meant that they were no longer efficient to run and operations were transferred to a site at Rocklea. 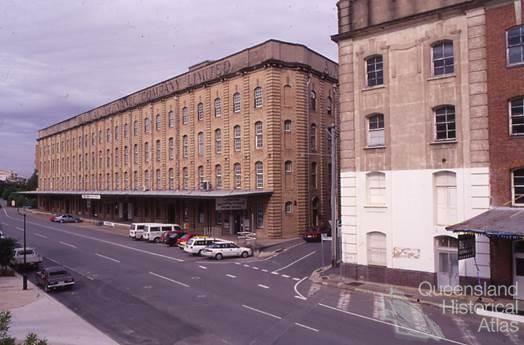 In 1992, the Brisbane City Council investigated possibilities for re-developing the Teneriffe precinct with the aim of retaining several of the other wool stores in the area which, at the time, were being used for retail and storage. 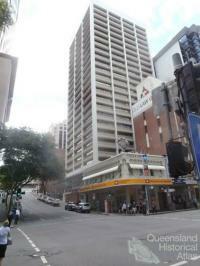 In 2004, the Australian Property Growth Fund purchased the AML&F building which they refurbished into 89 boutique apartments. 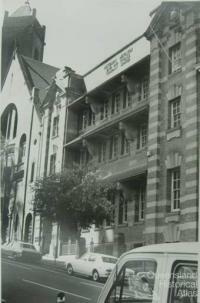 Written in bold letters, AML&F’s name lingers across the front of the edifice. AML&F was among numerous British firms and banking interests that emerged under the umbrella of the British Empire. By facilitating the migration of British capital and supporting Australian exports, these financial entities played a critical role in transforming colonial economies and landscapes. 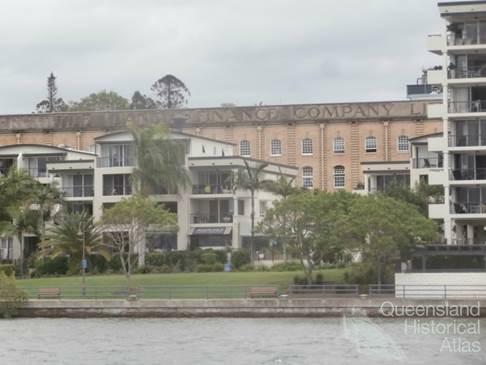 Companies like AML&F, however, also represented the close economic ties that existed between Queensland and Great Britain as well as Australia’s junior position within the imperial system as a producer of raw materials for British manufacturers. AML&F was initially established in Queensland with British profits in mind, however, to remain financially viable its business model had to change in response to new market forces and business opportunities, including those which ultimately obliterated the company’s name from the Queensland economic landscape.